Hello and welcome aboard our Oh What Fun Australasian Close to My Heart Blog Hop. If you have arrived here from Doris then you are in the right place. 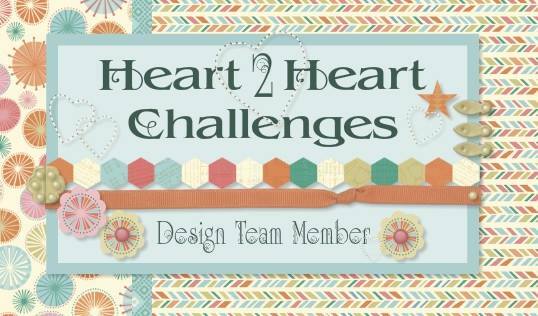 Today I would like to share with you a creation which features Close To My Heart’s December Featured collection, Oh What Fun! This bold and bright collection is perfect for the holidays. 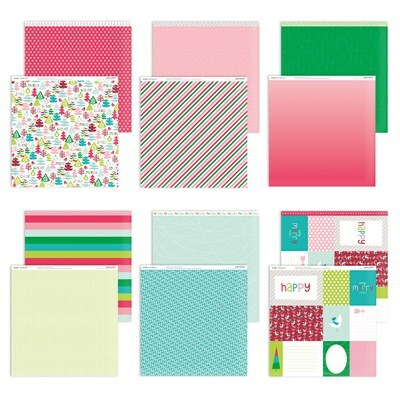 I love the striped paper in this collection, and wanted to use it to create a fun Christmas card. I trimmed the paper so that the more traditional green featured, and also used the zip strip and the thin striped paper. 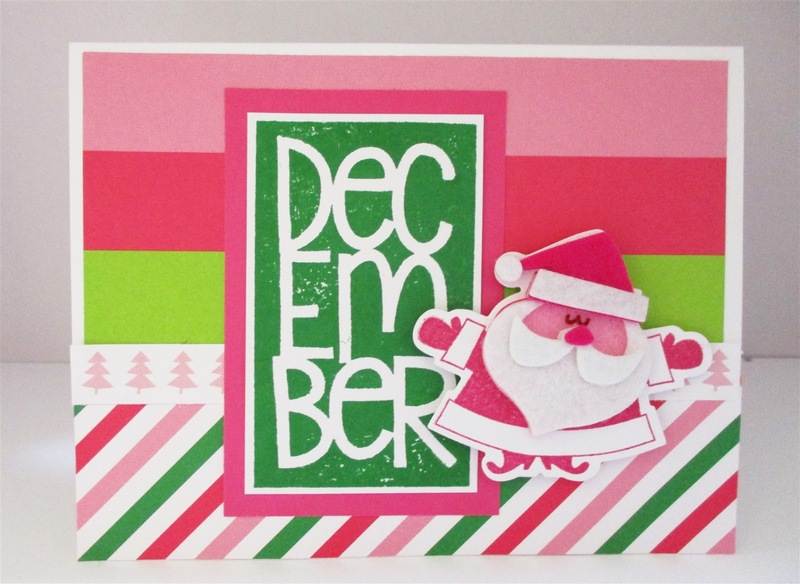 The December was stamped in Clover ink and mounted on the Raspberry cardstock. I loved the little Santa and I discovered that the Santa face from the Oh What Fun Felt Shapes layered perfectly with the thin cuts! This added some extra dimension to the card. 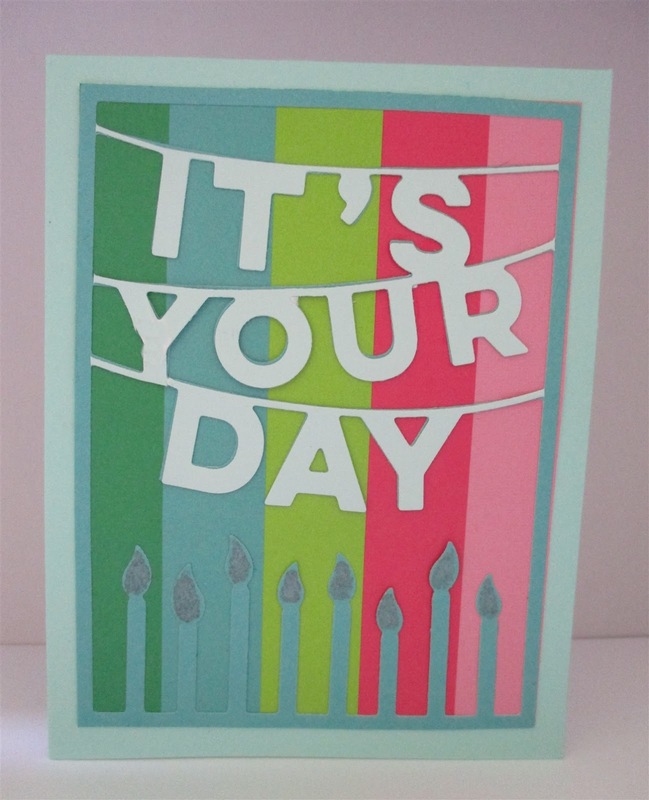 I also decided to use the striped paper in a non-Christmas themed way, and created this birthday card using the It's Your Day Thin Cuts. I added some shimmer to the candles using the Sugarplum Shimmer Brush and cut the thin cut twice so that I could use a lighter colour for the sentiment but have the frame and candles in a darker colour. I'd love you to leave a comment before heading off to the next stop, Doreen Watkins. Great cards Lauren, I love the extra touches of adding the felt Santa face on the cut out Santa and the extra layer on the birthday card title. Your cards are so happy, Lauren! Oh my I had no idea that the felt Santa Face fitted on the Oh What Fun -Cardmaking Santa, it makes him even cuter. Great cards, both bright & happy. How cool that the felt shape fits the thin cut...I didn't know that! Love your use of the stripes in the birthday card too. I didn't know his face fitted on the thin cut either. So clever CTMH! !